Nissan's adventurous new five-door crossover, Dualis, is the perfect answer for urbanites seeking the unique combination of small car agility and compact SUV versatility. Dualis blends the urban chic and comfort of a hatch with the strength and practicality of an all-wheel drive chassis. It is two cars in one, a true compact crossover. The two cars in one approach means Dualis merges the look of a contemporary hatch with SUV-style wheel arches, an elevated ride height and purposeful stance. Dualis has an easy-going yet assertive style. It is no aggressive SUV. Taller than a typical hatch, it has a similar footprint, and is actually shorter than a compact SUV, yet delivers similar practicality. Under the bonnet is a new 2.0-litre four cylinder engine delivering 102 kW of power and 198 Nm of torque. Drive is via a standard six-speed manual transmission, with the option of a continuously variable transmission (CVT) with 6-speed M-Mode for driver prompted 'gear changes'. The interior is decorative and spaciously laid out with comfortable seating for five occupants. The elevated seating position not only aids entry and exit but also gives a commanding view out into the traffic. A further benefit is plenty of leg, shoulder and headroom. A large load space behind the 60/40 folding rear seats swallows plenty of lifestyle related gear and with the backrests folded can accommodate up to 1,443 litres of luggage. A high level of equipment underlines the Dualis appeal for younger buyers with many safety and convenience features available as standard. These include a large 14 litre cooled glove box, cruise control, CD audio, as well as anti-lock brakes and the security of all-wheel drive via Nissan's selectable ALL MODE 4x4 system. The Nissan ALL MODE 4x4 system delivers added security and grip in slippery conditions, electronic control ensuring a split-second reaction, so drive is transferred between wheels and axles the instant it is required. The two-model strong Dualis range comprises the ST and Ti models. All ST models are available with a option pack which adds 16 inch alloy wheels, Vehicle Dynamic Control and Enhanced Understeer Control, Active Brake Limited Slip and side and curtain airbags. The top of the range Ti model adds leather seats, heated at the front; leather wrapped steering wheel with controls for the audio, cruise control, Bluetooth phone compatibility and Drive computer; aluminium trim highlights, a six-stacker CD player with six-speakers, rain sensitive windscreen wipers, light sensitive auto headlamps, sliding centre console armrest and a handy pull-out storage tray under the front passenger seats. Dualis will win the majority of its customers from other brands, with most buyers being younger than the norm, drawn from traditional hatchbacks, SUV or medium car segments. The high-quality interior, versatility and the appeal of ALL MODE 4x4 will be the key drawcards. The Dualis is priced at $28,990* for the ST six-speed manual while the M-Mode CVT is $30,990*. The Dualis ST option pack model is $30,990* in manual guise and $32,990* with CVT, while the Dualis Ti is $33,990* manual and $35,990* CVT. *All prices quoted are recommended retail pricing and do not include metallic paint, dealer delivery or on-road costs. While the heart might seek an SUV, the head may insist on a more practical city-friendly solution. The answer is the new Nissan Dualis. "Dualis is an alternative to the norm. A fusion of different themes and concepts, it blurs boundaries and twists expectations," says Stephane Schwarz, Design Director, Nissan Design Europe. Designing a car that refuses to conform requires equally non-conformist thinking. Inspiration for Dualis came not from other cars on the road but from culture, food, fashion, art, technology and other everyday influences. An increasingly complex and demanding new car market told Nissan researchers that conventional hatchbacks and sedans were no longer exciting enough for some buyers of small cars. "The car has become an extension of one's personality and fewer people are prepared to be seen as conventional any more," says Schwarz. "To cater for them, we started to create a new type of car." As the word implies, a crossover merges diverse design and packaging influences from two or more market segments into one vehicle. The key design elements that turn Dualis into a crossover are found above and below the vehicle's 'waistline'. 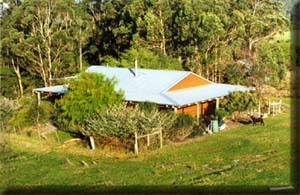 The sleek silhouette of the cambering roof suggests sporting agility. Dynamically angled A-pillars meet the roof at its highest point at the top of the windscreen, from where it falls away, towards the rear. The roofline culminates in a subtle flick up into a spoiler integrated into the tailgate surround. The sports car-inspired glasshouse proportion accentuates the athleticism of the overall design: The side profile follows the roofline and finishes with the small upswept triangular third window, similar to that of the Nissan Murano. The high waistline suggests an inner strength, accentuated by strong shoulders and pronounced wheel arches. Typical SUV features include a strong and 'muscular' frontal aspect and accentuated side protection panels. The 188 mm ground clearance immediately sets the Dualis apart from conventional hatchbacks, revealing its all-road capability. Aerodynamically shaped taillights follow the curve of the rear haunches where they provide a distinctive slash of colour. The lamp assemblies are split to maximise the loading width of the boot and a high-level brake light is incorporated into the rear spoiler at the top of the tailgate. A large five-sided lamp assembly is split into four distinct 'pockets' for the side lights, twin headlamps and blue tinted turn indicators. The front of the car is dominated by a large version of Nissan's logo, framed in a chromed U-shaped motif in the centre of the grille. The'U' element of the grille extends into the bonnet in the form of twin'power' ridges in the centre of the pressing. The Nissan Dualis comes in seven colours, most unique to the model: Arctic White, Urban Silver, Blade, Cayman Blue, Pearl Black, Fired Iron and Intense Blue. The Dualis sits astride the small hatch market and the compact SUV segment. It has a wheelbase of 2,630 mm, it is 1,615 mm tall, 1,780 mm wide and 4,315 mm long. It is about 100 mm longer than a typical hatchback but 150 mm shorter than a typical compact SUV. Similarly, it is taller than rival hatchbacks by between 100 mm-150 mm yet up to 130 mm lower than an SUV. "The Dualis offers more space than a hatchback at the same time as being more compact and manoeuvrable than an SUV," Schwarz says. "All-wheel drive provides better traction and more security in all conditions on the road." "Throughout the design process we were looking to blend contradictory impressions: a seductive car that turned heads at first glance yet was also obviously durable; a car with a fun-to-drive agility and with its high seating position, one that would also provide occupant protection and inner strength. "We benchmarked the most practical of its conventional rivals to ensure the Dualis did not fall short in terms of occupant space and luggage room," he adds. "Contrasts that at first sight appear to be mutually exclusive are, in fact, what gives the Dualis its energy," says Schwarz. The interior of the new Nissan Dualis was shaped by exploring contrasting themes designed to satisfy the differing - and often opposing - requirements of the driver and passengers. All major and minor controls are set within the driver's easy reach. The control binnacle is separated from the passenger side by a bold, high-set centre console. Reflecting its multi-tasking role as part time adventure vehicle and part-time commuter, the Dualis boasts a huge, cooled, glove box with 14-litres of storage space. It is large enough to hold 15 x 330 ml cans of drink - as well as an integrated sunglasses holder, while the front door pockets can each take a 500 ml drink bottle and a map book. The centre console houses twin cup holders and a voluminous storage box that can hold up to eight CDs in their cases. On Ti models this is covered by a sliding leather-trimmed armrest. The Ti model also boasts a sliding storage drawer under the front passenger seat. The cabin impresses with its satisfyingly high standard of finish. Stand-outs include the high quality surfaces of the dashboard and the high-precision finish of the aluminium trim that highlights the wheel, instrument pack, air-vents and centre console on the Ti model. Similarly, the panelling and stitching of the seats make them a more dramatic feature of the interior, besides underlining the car's dynamic character with their sporty bolstering. The handy, chunky knurled switch for the ALL MODE 4x4 drive system sits towards the front of the centre console just behind the short-throw gear lever. A high-level vent opens at the touch of a centre console-mounted button to provide a quiet and gentle flow of air towards the rear of the car to ensure the perfect cabin temperature for all passengers. On Dualis Ti models, the steering wheel includes controls for audio, cruise, Drive Computer and Bluetooth compatible phone system. The Bluetooth hands-free mobile phone system uses a high quality microphone installed near the interior rear view mirror. Incoming calls are routed through the sound system, which mutes the audio source for the duration of the call. Once set up, a compatible mobile phone can stay in a pocket or handbag and its presence will be automatically detected once the car's ignition is turned on, a boost to both convenience and safety. The Drive Computer relays the following information at the push of a button; estimated distance to empty, trip A and trip B, average fuel consumption, average speed and journey time. White LED lighting illuminates the dials night and day, while a new saturated orange shade illuminates other features, including the Drive Computer in the centre of the instrument panel, as well as the power window switches and audio controls. The elevated ride height and ground clearance allow occupants to sit higher and more upright than they would in a conventional vehicle, but without the sensation of sitting on top of the car as experienced in some SUVs. This provides better visibility and a sense of security. This seating position also ensures greater interior leg, shoulder and headroom. The front seats add a distinctly sporting feel to the interior with high-density foam side bolsters to provide extra support when cornering. The 60/40 split rear seats have three-point safety belts for all three occupant positions. The seat backs can be easily folded forward with one hand and, for more convenience, the rear head restraints can remain in place when the seats are folded. The seat bases are fixed, but with the backs folded, the load area presents as an almost flat floor from the tailgate to the back of the front seats. With the rear luggage cover in place, 352 litres of luggage can be loaded, comparable with many small hatches. 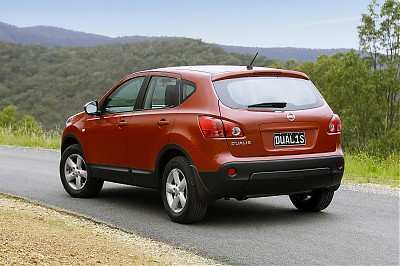 The 2.0-litre four-cylinder aluminium engine that powers all Australian Dualis models is a Nissan design. The light weight 2.0-litre appears in some other Japanese market Nissan products. It boasts a displacement of 1,997cc and develops 102 kW at 5,200 rpm and 198 Nm of torque at 4,400 rpm. Some 90 per cent of that torque is available from just 2,000 rpm providing the accelerative 'punch' more usually experienced from larger capacity engines. A key design feature is a notable reduction in internal friction. A mirror-like finishing technique is applied to the surfaces of the crankshaft pin journal and the cam lobe journal and a new machining method ensures truly circular bores: this procedure is common practice in the machining of bores of racing engines but is seldom used in volume production engines. The 2.0-litre petrol engine is available with either a six-speed manual transmission or a continuously variable transmission (CVT) with six selectable 'gear ratios'. 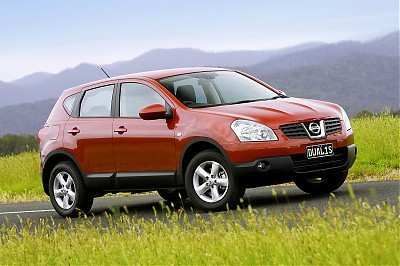 In manual guise, the Nissan Dualis uses just 8.4-litres of fuel per 100 km, while the CVT equipped models use 8.5l/100 km. A 65-litre tank is fitted to all models. The CVT transmission is a computer controlled 'stepless' item providing a virtually limitless number of ratios, ensuring the engine is always working as efficiently as possible. This ensures smoother acceleration as well as better fuel economy and lower emissions compared with a regular automatic transmission. It is more comfortable, too. A long uphill drive in a conventional automatic will invariably be accompanied by regular down shifts as the engine hunts for power. With CVT, the engine revs stay constant as the transmission itself adjusts seamlessly to maintain momentum. CVT also ensures less power loss, resulting in better efficiency and acceleration. For a more sporty drive, the CVT system has a manual override. Operated via the central gear lever, six set ratios can be accessed manually by nudging the lever forward or back. The front MacPherson strut set-up mounts on a sub-frame complete with a lower forward link. The sub-frame has compliant rubber mounts to isolate road noise and vibration from the platform, improving both general refinement and ride comfort. A front anti-roll bar is attached directly to the strut assembly for more effective control of body roll under cornering, while high performance shock absorbers are fitted to maintain serene road-manners. A fully independent multi-link rear suspension set-up delivers precise handling and high-speed stability. It is also attached to the car via a rigid rear sub frame to keep unwanted noise and vibrations to a minimum. The compact assembly features an aluminium rear upper link which cuts 4kg from the weight of the suspension. In addition, the rear shock absorbers are angled to ensure minimal intrusion into the boot area. Rebound springs reduce body roll to give a greater feeling of security behind the wheel, while ride comfort is enhanced by the adoption of friction control dampers. Fine tuning of the ride and handling has been carried out by engineers from Nissan Europe's technical centres at Cranfield in the UK and at Barcelona in Spain. Handling and manoeuvrability are aided by the adoption of electric power steering (EPS). This state-of-the-art system offers greater assistance at lower speeds with more steering feel provided as speeds rise. The electronic control system within the EPS checks speed inputs every 40 milliseconds and is speed sensitive to 0.01 km/h. It is tuned specifically for a sporty responsive feel and has a strong self-centring action at lower engine speeds for easier town driving and greater feel at higher speeds. The system uses a brushless DC motor resulting in lower friction losses which deliver lower fuel consumption and greater durability. The steering column is adjustable for both rake and reach. Despite its higher ride height the Nissan Dualis is able to deliver hatchback-class competitive braking performance thanks to an all-round disc brake set up backed by an advanced anti-lock system, Brake Assist and Electronic Brake Force Distribution. Brake Assist maintains maximum deceleration during an emergency stop while EBD constantly moderates the front to rear balance to achieve optimum brake performance, automatically compensating for differing load conditions. The Dualis four-wheel drive system incorporates some of the most sophisticated technology available anywhere on the four-wheel drive market. Developed by Nissan, the next generation ALL MODE 4x4 system allows secure and relaxed driving with advanced electronics taking care of all traction needs. In essence, ALL MODE 4x4 ensures Dualis has grip at all times no matter how severe the conditions. The next generation ALL MODE 4x4 system uses advanced electronics to ensure drive is transferred between wheels and axles the instant a problem arises. Under normal conditions, the Dualis operates in front-wheel drive to reduce energy losses and save on fuel. The instant wheel slippage is detected however, a centre clutch in the rear final drive is electronically activated and drive is correctly apportioned between front and rear axles. The system has three modes, selected via a switch on the centre console. In 2WD, the system is permanently set in front-wheel drive, ideal for fine weather on-road use. When the Lock setting is pushed, however, the system switches to permanent four-wheel drive mode with drive split 50:50 front to rear. The most often used mode, however, is 'select-and-forget' Auto, in which the system is left to its own devices. Sensors linking the engine's ECU with the four-wheel drive and ABS controller constantly monitor wheel slippage and automatically send signals to the electromagnetic centre clutch mounted just ahead of the rear axle to apportion torque correctly. Left in Auto, the system will automatically compensate for unexpected slippery conditions on-road, such as wet leaves in autumn, early morning winter ice or loose gravel at any time of the year. Vehicle Dynamic Control is available with the ST option pack and standard on the Ti model. Using sensors linked to the brakes, steering, wheels and the body itself, VDC constantly monitors how the car is being driven. From the steering angle and wheel speeds, VDC calculates what manoeuvres the driver intends to perform and from signals from the yaw-rate and lateral acceleration sensors, VDC recognises whether the vehicle might skid off course. In an emergency VDC reacts swiftly and by selectively applying the brakes at each wheel VDC 'steers' the vehicle in the desired direction. Among the other electronic control systems that Dualis has in its armoury is Enhanced Understeer Control. This system applies the brakes to all four wheels to reduce excessive understeer. A new hydraulic fade compensation system prevents brake fade after a period of heavy brake usage. VDC, EUC on ST option pack and Ti models. Active safety equipment includes anti-lock brakes (ABS) with Brake Assist (BAS) and Electronic Brake Force Distribution (EBD) while the availability of Vehicle Dynamic Control (VDC), Enhanced Understeer Control (EUC) and Traction Control (TCS) on ST option pack and Ti models backs up the ALL MODE 4x4 which guarantees traction in all conditions. Passive safety equipment starts with dual front airbags on all models, while the ST option pack and Ti models add dual side and curtain airbags. The side airbags are mounted in the front seats and the full-length curtain airbags on both sides give extra protection for all occupants in a side impact. Front active head restraints are standard on all models and are designed to minimising the likelihood of neck injury in the case of rear impact. Front seat belts are equipped with pre-tensioners to take up any slack in the seat belt at the moment of impact. Using sensors to determine the speed of deceleration - and therefore the severity of the crash - the system triggers a pyrotechnic gas generator to rewind the retractor thus tensioning the belt. All three rear seats have full three-point harnesses. Among the other intelligent features fitted to the Ti model are automatic headlamps and rain sensing front wipers. The rear wipers also switch on automatically when the front wipers are operating and reverse gear is selected. All Australian Dualis models are equipped with cruise control and indicators which automatically flash three times when the stalk is pushed gently - perfect for maximum visibility when lane changing on a freeway. Just as the new Nissan Dualis doesn't conform to the norm, so its customers will tend to be individuals with their own agendas. They will be open-minded and progressive with a passionate appetite for life. They are not among life's spectators. Around 85 per cent of Australian customers are likely to be buying a Nissan for the first time and before buying a Dualis they drove a premium "small" car, a compact 4x4 or a "medium" car. Customers will be seeking style and premium specification, with a high quality interior and striking design. Most sales will be the high-specification Ti model. Sales of the Nissan Dualis in its first year in Europe have provided some interesting customer data. The Dualis is appealing to younger people than the traditional "small" car market average. The typical buyer is 44 years old, three years younger than the average and six years younger than the compact SUV average. One third of Dualis buyers fall into the 36-45 year bracket, against a 20 per cent average for the small car segment and 27 per cent for the compact SUV. Initial customer feedback shows that buyers like the Dualis for bringing something new to the market; for its strong, distinctive design, which sits between a traditional hatchback style and a more robust, elevated SUV shape. Nine out of ten Dualis buyers in Spain are first-time Nissan buyers and that trend is nearly repeated in Italy (84%) and UK (83%). Customers consistently cite the premium quality interior and overall design as key factors in changing brands to Nissan. The world's first glimpse of the Nissan Dualis was at the 2003 Geneva Motor Show. The final production car retains the core crossover rationale of the Qashqai concept and has been designed to appeal to buyers on more than one level. Initial thinking for the Dualis began in Japan, but as soon as the project went live, it moved to the newly opened Nissan Design Europe (NDE) facility in London's Bohemian Paddington area, a cultural melting pot - the ideal location for crafting a car that's a vibrant blend in itself. NDE opened in December 2004 and is home to more than 60 international designers, modellers and support staff, with a mission to design the next generation of Nissan cars for Europe. Much of the Dualis was crafted in Paddington. "It is a car of contrasts for a world of contrasts," he says, "tough and compact for the city but sleek and agile for journeys away from the town. It reflects our personalities, our imagination." In other words, the Dualis has drawn on multi-cultural London for its inspiration. London's melting pot also makes an ideal location for devising a car that's a vibrant blend in itself. The Dualis mixes the agility and comfort of a hatchback with the practicality of an SUV and all in a fashionable wrapping. "It doesn't shout at you the way SUVs do," says designer Schwarz. 'It isn't as aggressive, but it's assertive in the way it sits on the road." How did his team achieve that trick? By fusing a light, elegant and sporty upper body to a tough, planted lower body. "We've taken a lot of trouble with perceived quality," says Schwarz. "I like the fact that there is craftsmanship in it, even though we use so much technology." An example is the seats. Their panelling and stitching make them a more dramatic feature of the interior, besides underlining the car's dynamic character with their sporty bolstering. That same sportiness is echoed in the driver's environment, the clustering of instruments and controls providing 'a cockpit' feel. The design brief was to 'Design a car for people who are tired and bored with traditional functionality'.